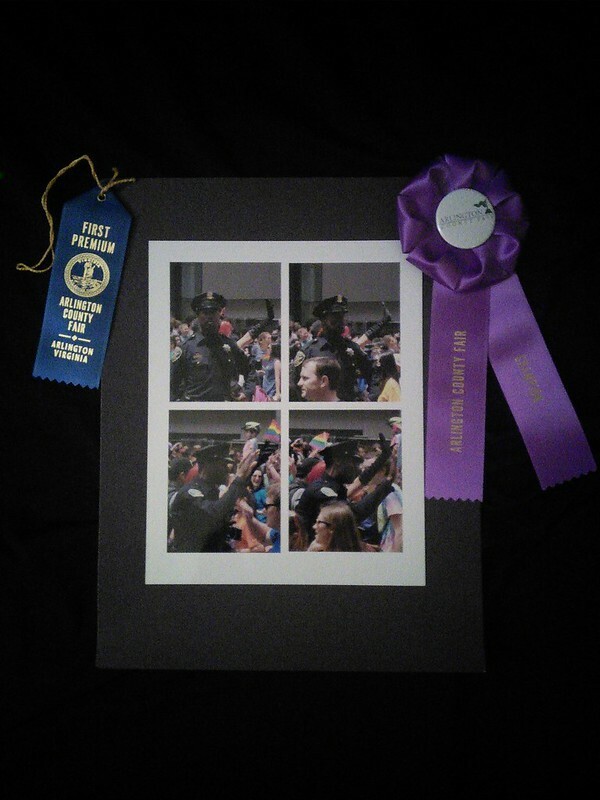 A the Arlington County Fair this year, I had a very successful set of entries in the photography competitive exhibits. This year was the first where there was not an analog category which was interesting. I, for the first time, won reserve ribbons (2 in fact!). 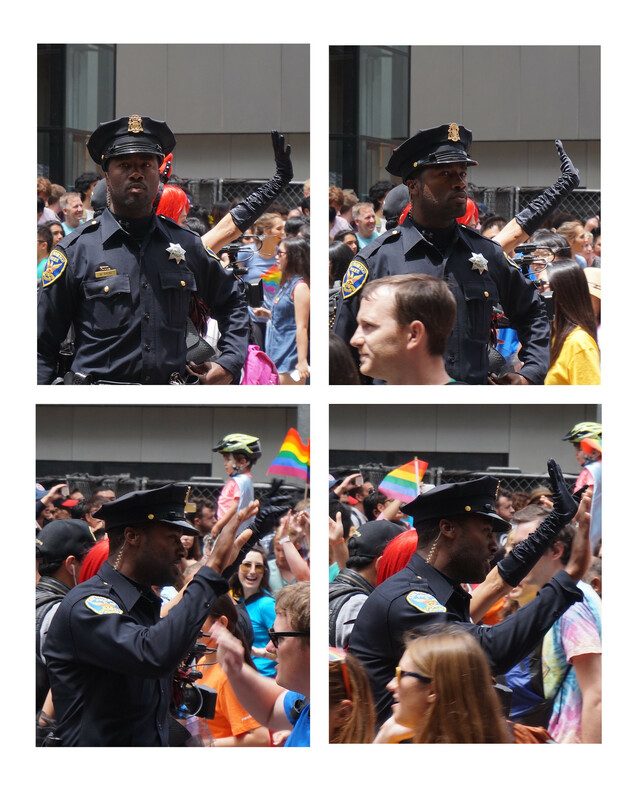 This was a series of shots at the 2015 Pride Day Parade in San Francisco. I was there for the ALA conference and everyone took a break to watch the parade. I liked the way that this stern looking cop suddenly started high-fiving marchers in the parade. 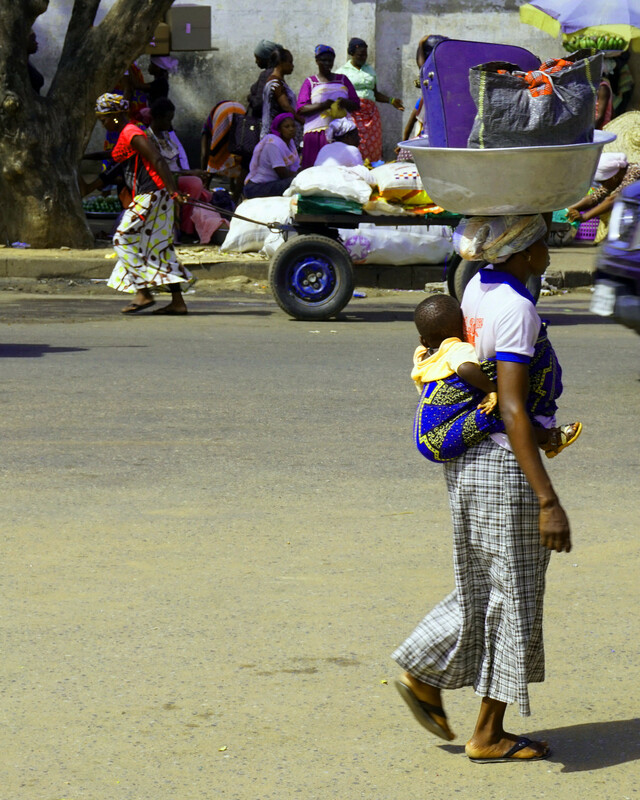 While on a visit to Accra, Ghana in May, I went to the famed Makola Market. An amazing place of sights, smells, and sounds. This picture, on one of the main streets of the market area provided some interesting juxtaposition of people and vehicles, the matching blues and purples caught my eye. On my trip to Ghana in May, I went to the Cape Coast area. After a visit to the Kakum National Park, my guide and I stopped for fresh coconuts. 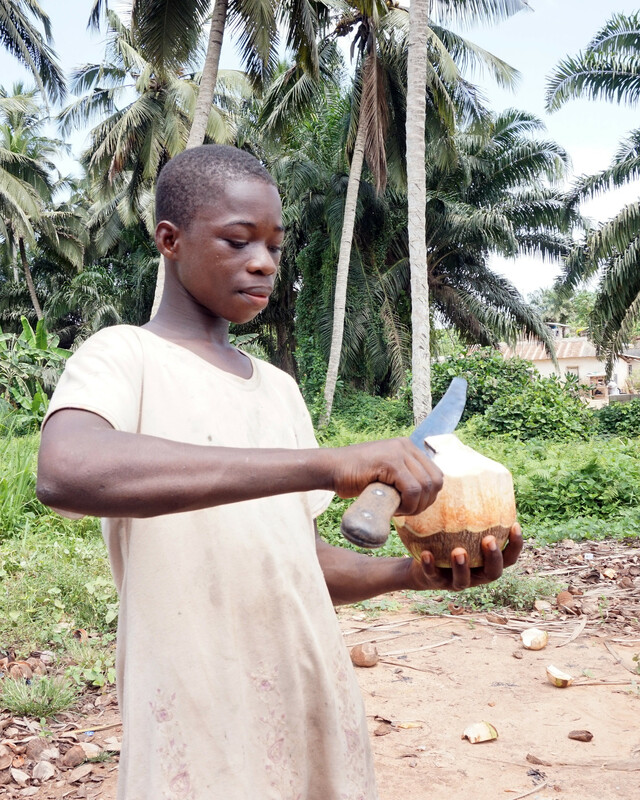 This young man did some nifty machete work before handing over the coconut. 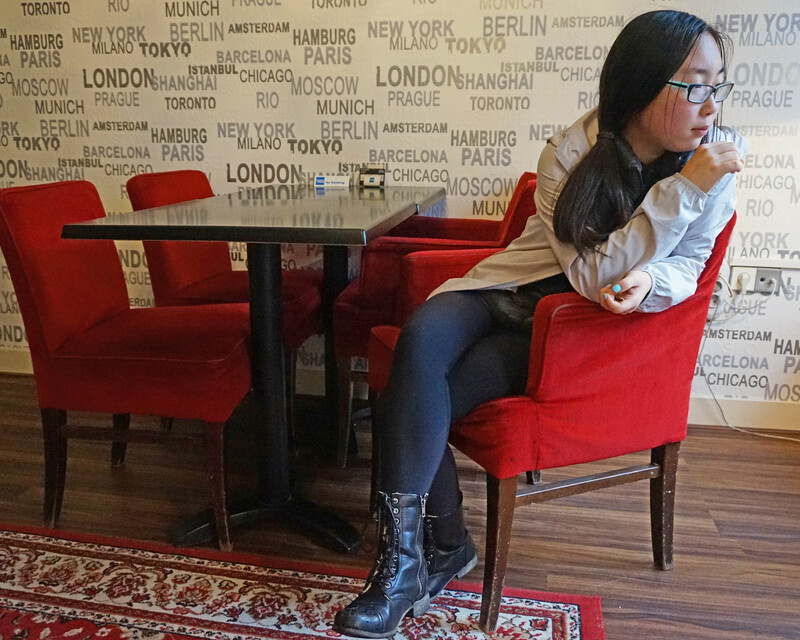 The lobby of the Art Gallery Hotel in Amsterdam provided a nice backdrop for Grace after a long day of tramping around a dreary and rainy Amsterdam.